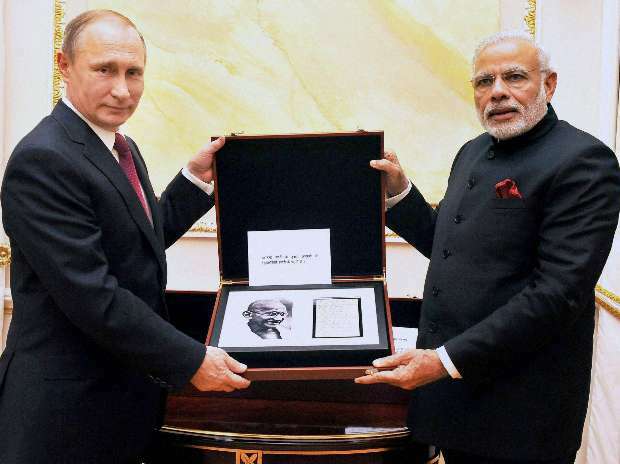 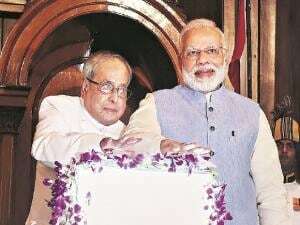 President of Russian Federation, Vladimir Putin presents to the Prime Minister Narendra Modi a page from Mahatma Gandhi's diary containing Gandhiji's handwritten notes, in Moscow, Russia. 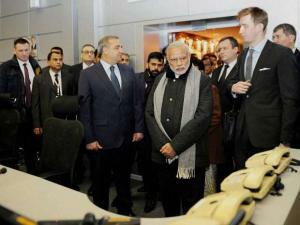 Prime Minister Narendra Modi visits EMERCOM, a state of the art crisis management facility, in Moscow, Russia. 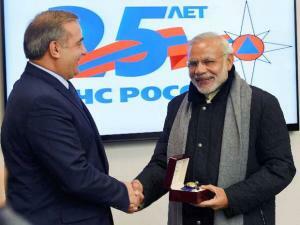 Prime Minister Narendra Modi is presented a memento during a visit to EMERCOM, the Russian National Crisis Management Centre in Moscow. 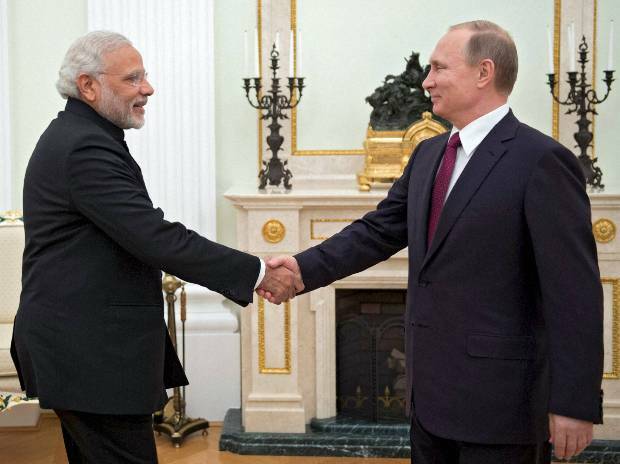 Russian President Vladimir Putin, right, greets Indian Prime Minister Narendra Modi during their meeting in the Kremlin in Moscow. 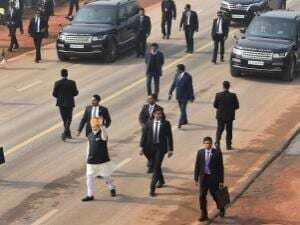 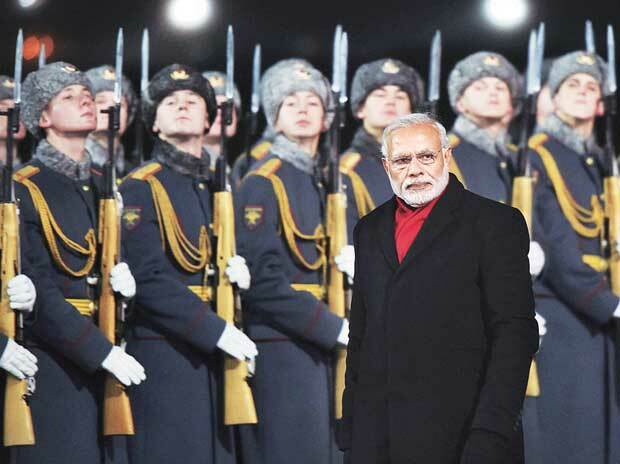 Prime Minister Modi inspects a guard of honour on his arrival in Moscow.